Politico anonymous sources: Who is their "longtime Washingtonian"? Former DC Mayor and current DC City Councilman Marion Barry leaves after attending a viewing of musical artist Chuck Brown at the Howard Theater on May 29, 2012 in Washington, DC. Hold fast, everyone: Politico’s new edition of “Behind the Curtain” has arrived, bringing you a unique, reported take on Washington’s latest conventional wisdom. This column asserts that D.C. has “turned” on President Obama, and quotes the advice of Democratic wartime consiglieres from Vernon Jordan (“He needs to fire somebody”) to Chris Lehane (“one cannot get caught up with chasing news cycles in a crisis”). One Democrat who has lived in Washington for a while? Who could this be? After some careful research I’ve got it down to four possibilities. Is it Blelvis, the black Elvis impersonator, who’s walked the D.C. streets singing covers of the King for two decades? Pros: He’s been “around town for many years,” and he’s used to courting Washington residents. Cons: He wouldn’t hide behind anonymity, and I’m not sure of his party registration. Is it celebrity chef José Andrés? Pros: He has steady access to powerful Washingtonians—check his Twitter follow list. Recommending Obama to have people over “for drinks” sounds like the kind of thing he’d do. He made the rounds at 2009 and 2013 inauguration events, so he clearly likes Obama. Cons: Can’t think of any. 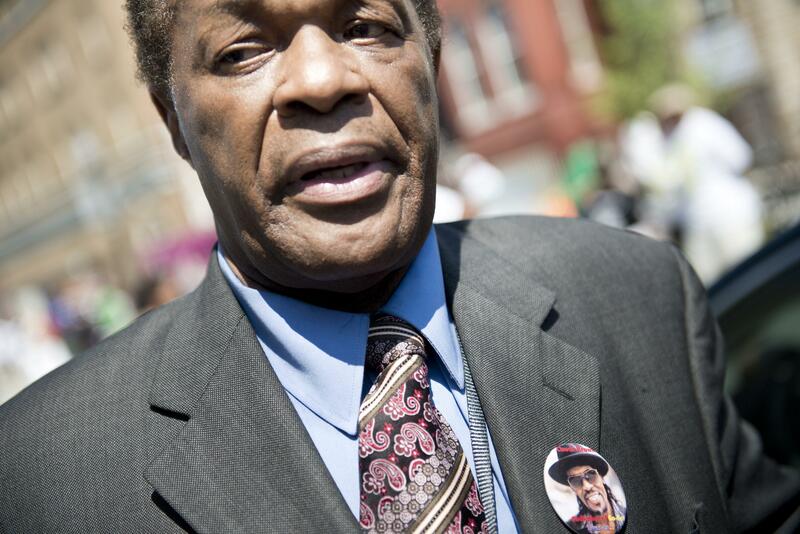 Is it Marion Barry? Pros: He’s a Democrat, he seems to like Barack Obama, and bringing over people to break the ice over loosely controlled substances is the sort of thing he’s excelled at. Cons: Anyone who’s talked to Barry recently, or heard him talk on the radio or at council meetings, has gotten acquainted with Barry’s new, somewhat coherent mumble of a speaking style. The quote doesn’t sound like him. Is it Some Hack Whose Quote Wouldn’t Be Nearly As Interesting If Politico Printed His or Her Real Name, Especially When You Consider That the Quote Consists of Obvious Advice? Pros: It wouldn’t be the first time that occured in a “Behind the Curtain” column. Cons: It would be pretty dull, right?